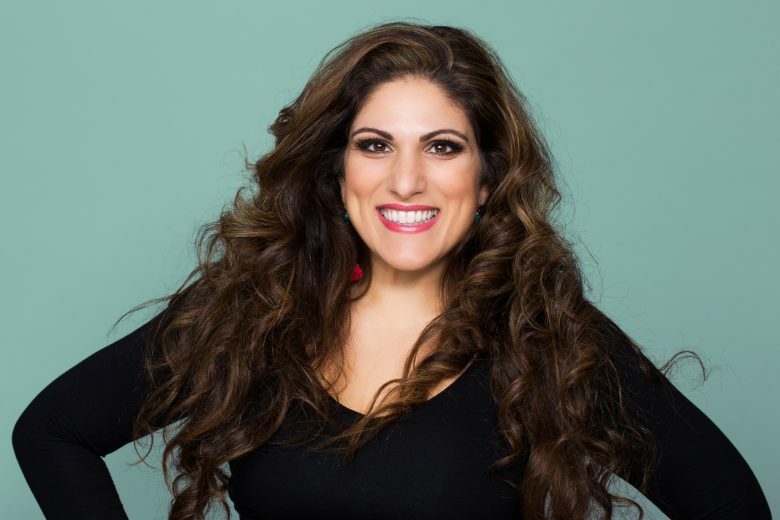 We first interviewed Vicki Psarias from Honest Mum in 2015. To celebrate Mother’s Day, we thought we’d find out what she’s been up to since and learn more about her new book, MUMBOSS. What’s changed since we last spoke to you? As cheesy as it sounds, I’ve grown a lot as a person since 2015. I know myself more deeply and I like myself more each day. I had a big and pretty scary thyroid operation last year, and enduring the pain and worry that came with it, and the years of problems preceding it, revealed strength I honestly didn’t know I had. As did writing my book MUMBOSS – the Honest Mum’s Guide to Surviving and Thriving at Work and at Home, during a personally tough year juggling motherhood with deadlines with unwell close relatives, and the tragic death of my second mum, my young Auntie Zak. I think those awful times, re-framed so much for me in my life, and brought to the fore what truly matters. I moved management, learned to say ‘no’, worked on boundaries, starting seeing a therapist again and life has felt more technicolor since. I’m incredibly proud of my book and the feedback I’ve received from it and the fact it’s helped thousands of women believe in themselves more, set up businesses/work digitally, or return to work feeling stronger after time away from the workforce. I wrote the book I wish I had when I started blogging in 2010. I also feel honoured to have spoken twice in Parliament about birth trauma, and enterprise and I recently contributed to a think-tank for the government on gender equality and women’s empowerment. We are making slow progress but childcare costs must be lowered and flexible working needs to become the norm, for us to see real change. The internet has provided greater mobility for mums, and I love sharing what I know on my blog and in my book to help support fellow parents. What’s the secret to your longevity? How have you maintained your passion for what you do? My blog Honest Mum and social platforms are an honest reflection of my life and loves and evolve as my family and I do. I feel as passionate as the early days as it’s my space. I love that I control my content, write and film my own work and it’s led to the most enriching and fun experiences I could possibly imagine, from interviewing Westlife or collaborating with Jamie Oliver and going on a book tour (Belfast and York are up next) as well as working with brands that mean a lot to me personally, such as my recent Mother’s Day edit for Bloom & Wild (I received so many Bloom & Wild bouquets and plants post-op from friends and family, it is such a meaningful partnership). Working with global brands such as Google, Nokia, Charles Worthington and others too, has been wonderful, and of course appearing on television regularly is a real joy of mine, particularly as I’m a former TV Director so it immerses back into that exciting world. What inspired you to write Mumboss? I wanted to share my story and everything I have learned in the 8 years blogging, in one chronological place. It’s been deemed as a go-to for anyone wanting to create a personal brand or return to work with greater confidence and clarity. Making it in the top 10 business books written by women in the Independent was a real highlight. Love to read MUMBOSS? Find out how to win a signed copy in a Rafflecopter giveaway! What was the writing process like? Did you find it easy or hard? Some days, the words flowed, others required meticulous research and in-depth interviews with experts/ fellow mumbosses featured and took longer to process and formulate. I wrote the majority of the book between the hours of 11pm and 3am so it really was like having another baby! What are your tips for other women hoping to write books? Firstly believe you can, because you really CAN. Research the agents of writers you admire/ are similar tonally and email them. It’s easier than ever to find details online. Keep the email, short and succinct and don’t sell yourself short either. I think I read that only seven stories exist in the world but it’s your voice which makes it unique. Building an online personal brand and growing an engaged audience helps to garner interest for spring-offs such as books or e-businesses and courses. The reviews of your book are impressive. Were you surprised by its success? Yes, I had no idea what the response would be. I just imagined my mum reading it and hoping it spoke to her as I do when I write my posts. I thought, if she, a former lecturer was happy with it, then I was! If you had to pick one magic ingredient for business success, what would it be? Two things that mean the same thing really: self-belief and self-love. When harness and consistently work on those qualities, you can overcome all barriers, rejection and mistakes (understanding that’s when you learn). It’s empowering to work on you and loving yourself more! Considering how much you have learned over the years, if you could go back to the moment you became a mum, would you do anything differently? And if so, what? Yes, I would have reached out for help when I felt rock-bottom after a traumatic birth in 2010. I would have opened up those I loved sooner so I could have started therapy and healed quicker. I suffered in silence for 10 long months. What would your Mother’s Day message to other mums be? Be more compassionate to yourself and stop the mum-guilt. And finally, how will you be celebrating Mother’s Day? With my own mum and my family at the stunning Paddington branch of Ask who have kindly invited us to spend it with them. Their vegan food is incredible. 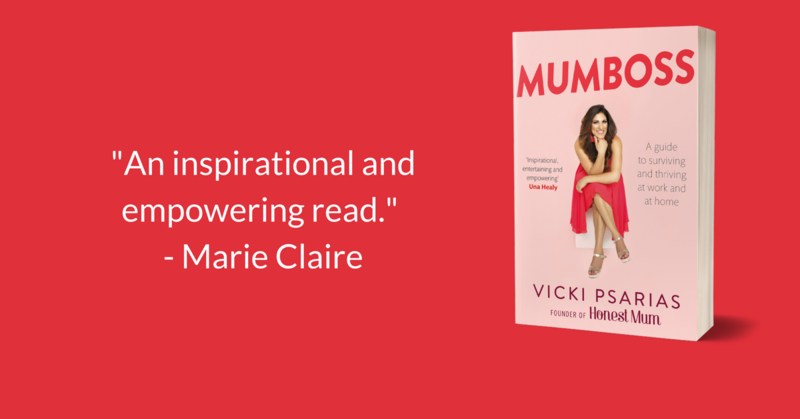 You can learn more about Vicki on her blog Honest Mum and buy her book MUMBOSS on Amazon.